Introducing the perfect fusion of style and strength. 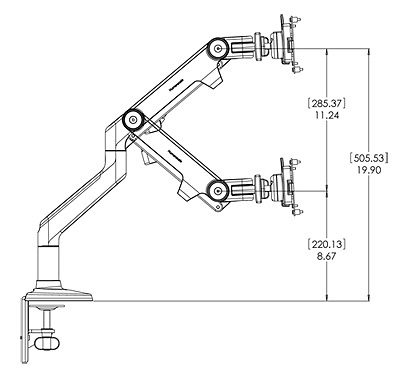 Through its unique design, the M8 Monitor Arm accommodates the widest range of monitors available today—any monitor up to 42 pounds. Combining rugged performance with sleek, handsome aesthetics, the M8 is the ideal solution for heavy monitor applications or any other environment with a flat panel monitor. 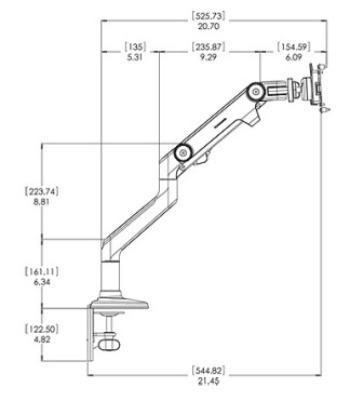 Specify the mounting option: through a grommet or onto the desk edge with a clamp.